Nokia has announced three new phones in its 'affordable' category, the Nokia 2730 classic, Nokia 2720 fold and Nokia 7020, but with the added bonus of the former being its cheapest 3G model as well. While the Finnish company often releases low cost handsets to supply emerging markets and those interested in just having a phone with no bells and whistles, the €80 (£71) price tag of the 3G-enabled 2730 is a big step for a top-tier manufacturer. Other handsets have been made for cheaper, especially in the Asian markets, as well as other legacy 3G phones being on sale for sub-£50, but this move shows 3G is no longer the high-price playground for the power user. Nokia has been light on specs for the 2730, which is a candybar model with metallic finish, but is expected to pop up in shops in Q3. 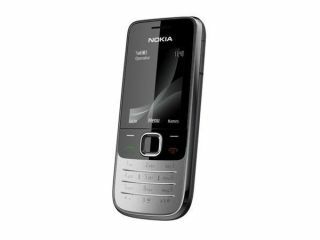 The others, the 2720 fold and the 7020 are both clamshell design, and the latter comes with a 2MP camera, and Nokia is still pushing the internet experience on these slower-connected phones. The 2720 fold includes a simple three step email set-up process, and an "exciting mirror-effect design", which we assume means it's a bit shiny. It too is coming in the third quarter of this year, and will cost €55 (£48). And finally, the 7020 is a phone for those who enjoy stardust effects and social networking, with a 2MP camera and allowing users to tap the cover twice to make the whole cover light up. TechRadar will obviously be ordering four of these each. The 7020's also hitting us in Q3, and will cost a wallet-busting €90 (around £79). See the full release here if you want to read a Nokia executive use words like 'catalyze', 'entrepreneurs' and 'impact' to describe three phones under £100.